Progress Lighting Strip light fixture in painted white finish, has steel construction for higher strength and durability. 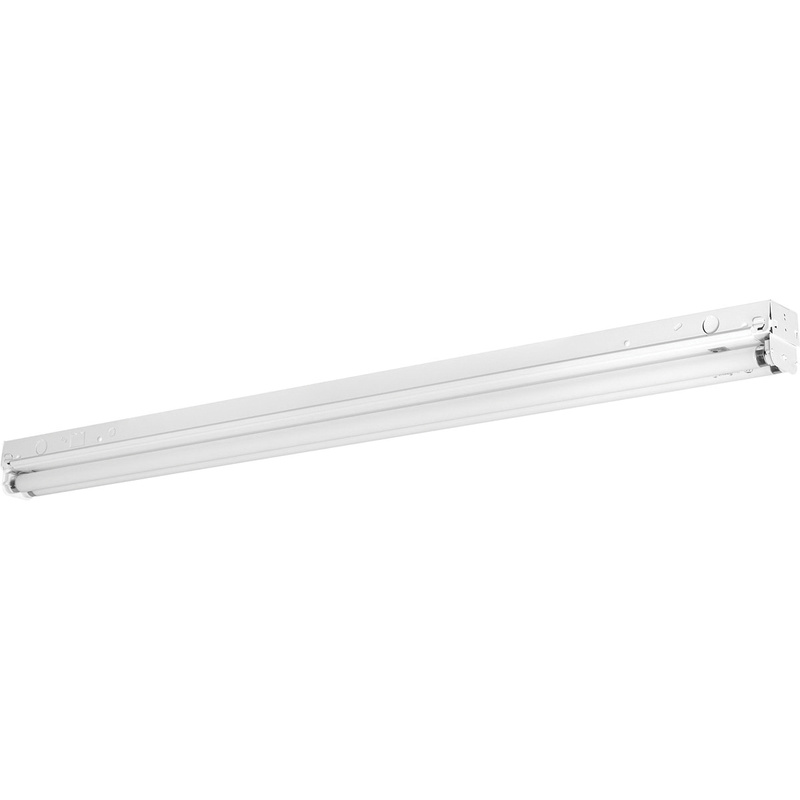 It supports (2) 32-Watt F32T8 modular fluorescent lamps and ceiling mounting. This fixture is damp location listed and is suitable for utility lighting and/or bathroom lighting. Strip light fixture is UL and cUL listed.